You must EXPERIENCE this property to believe it! 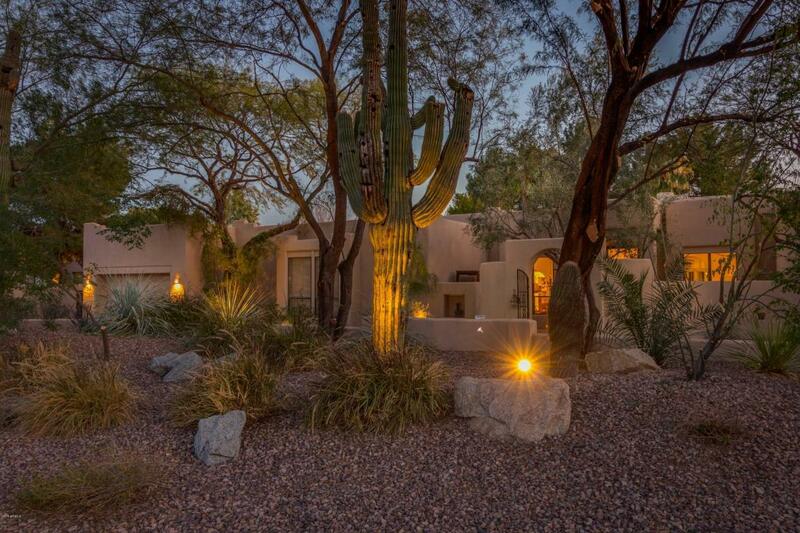 Elegance, interest and ''that something special'' on this Cactus Acres Retreat. Every corner is landscaped and cared for here. 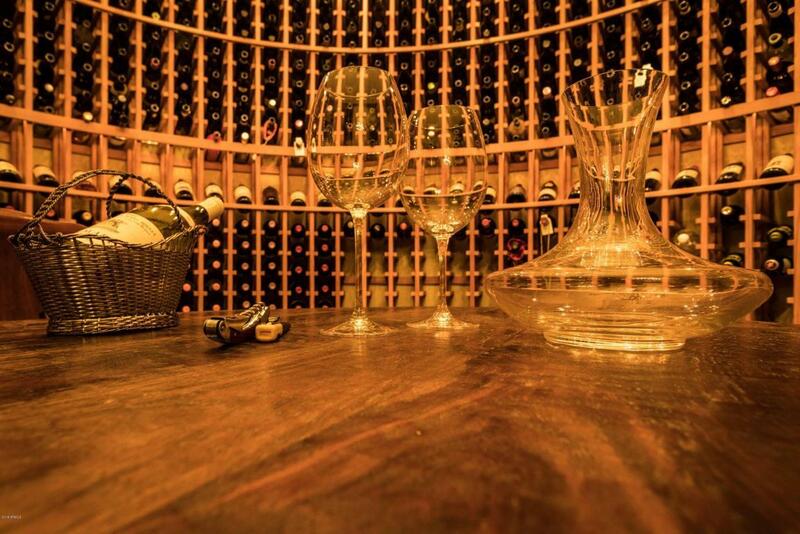 Luxurious 4 bed/3.5 bath house with a yoga studio, 2000 bottle full wine tasting room that transports you to Tuscany, art deco theater, master spa retreat AND a GUEST HOUSE! 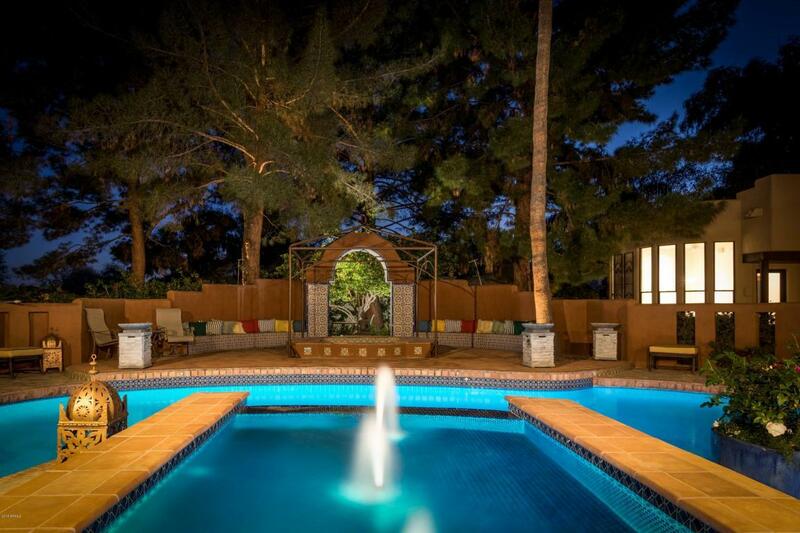 Fully landscaped w/pool, spa, fountain & a fully stocked koi pond! 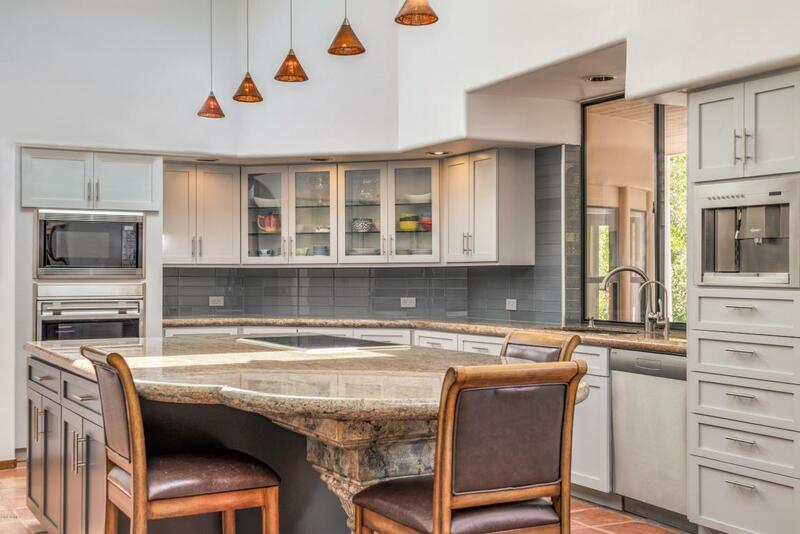 The 4 car garage, circular drive and a 2nd complete catering kitchen makes entertaining a treat. It is hard to decide which element is best but, the 1361 SF five-room guest house/office with a 16 seat boardroom might just top the list. Commute 40 feet to your office w/ a great tax write off OR have your friends and family stay close but, not too close ... you decide!